Back cover blurb: Flora Mackie was twelve when she first crossed the Arctic Circle on her father's whaling ship. Now she is returning to the frozen seas as the head of her own exploration expedition. Jakob de Beyn was raised in Manhattan, but his yearning for new horizons leads him to the Arctic as part of a rival expedition. When he and Flora meet, all thoughts of science and exploration give way before a sudden, all-consuming love. The affair survives the growing tensions between the two groups, but then, after one more glorious summer on the Greenland coast, Jakob joins his leader on an extended trip into the interior, with devastating results. The stark beauty of the Arctic ocean, where pack ice can crush a ship like an eggshell, and the empty sweep of the tundra, alternately a snow-muffled wasteland and an unexpectedly gentle meadow, are vividly evoked. Against this backdrop Penney weaves an irresistible love story, a compelling look at the dark side of the golden age of exploration, and a mystery that Flora, returning one last time to the North Pole as an old woman, will finally lay to rest. But Flora is no ordinary young lady and her experiences on her Father’s whaling ship leave her hungry for adventure and exploration. This taste for adventure ultimately leads Flora to the Arctic. Where she meets fellow explorer Jacob De Beyn for the first time. Their attraction to each other is neither instant nor mutual, but as they get to know each other, so begins a mutual respect for each other. It is only when they are parted that they realise the true extent of their feelings. And so begins an affair that is unconventional bordering on scandalous for the times we are reading about. Does the course of true love ever run smooth? Or are our two intrepid explorers headed for heartbreak? Under a pole star is a sweeping epic, that would make a wonderful film, reminiscent of Titanic. Please don’t let the 600+ page length of this novel put you off reading, for me it didn’t seem long at all, and was well worth the time invested. 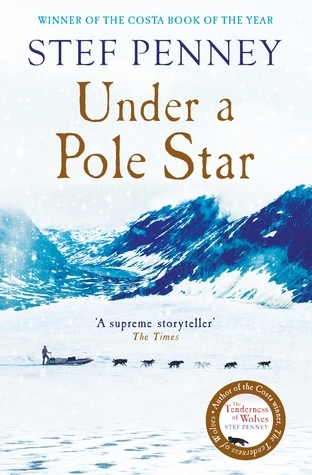 Under a Pole Star is available to buy now via Amazon online and all good book shops. Thank You to lovereading.co.uk and Quercus who sent me an advanced proof of this novel in exchange for an honest review.